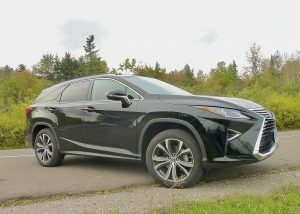 More stylish for 2019, the Lexus RX350-L is elongated for a third row of seats. A long trip is the perfect way to scrutinize a new vehicle, and the new 2019 Lexus RX350-L passed its test on a drive from Duluth, Minnesota, to Joliet, Illinois. It was also an enjoyable way to get the opportunity to drive all sorts of other new vehicles on the private road-racing course called the Autobahn Country Club, and on the neighboring streets and roadways. My older son, Jack, who assists me with facts and photos of new cars, joined me for the annual trek, and enjoyed everything about the smooth performance and easy cruise-ability of the RX350-L — right up until we got into Illinois and tried to rely on the dash-mounted navigation system to circumnavigate Chicago to reach Joliet, which is located on the southeastern end of Chicago. 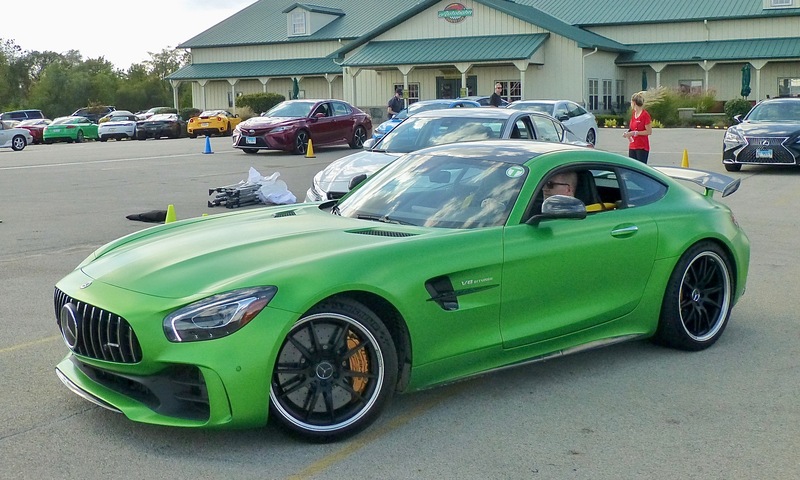 The Midwest Auto Media Association (MAMA) conducts annual Spring and Fall Rallies for member journalists and this year’s crop of about 70 new 2019 vehicles was worthy for at least that many journalists to sample. We don’t race on the track, but drive in single-file order behind a track pace-setter so that we stay in line without passing, keep the gaps close, and get a good feel for a vehicle’s performance and handling in short doses. In some ways, the surrounding roadways in the truck-farm-loaded region can be just about as effective. The point is, manufacturers bring their top new vehicles all to that one place, and we in the media converge on it. 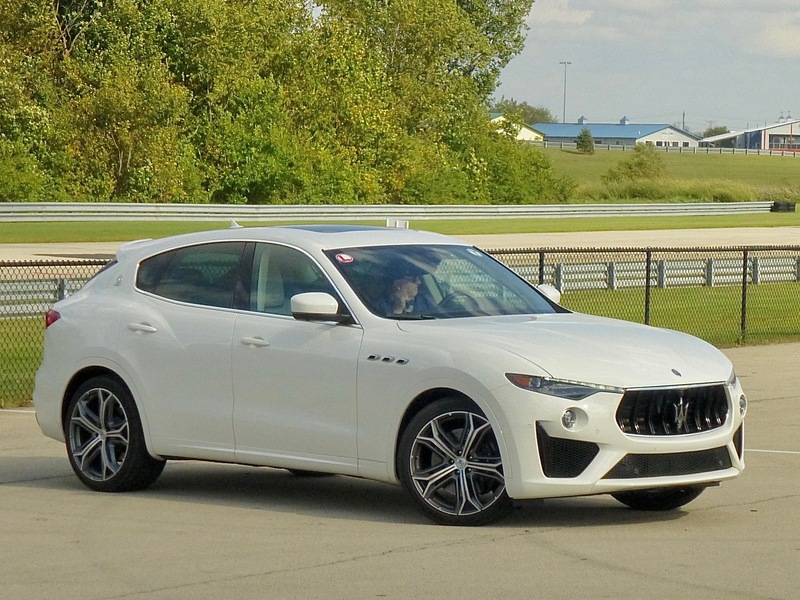 Maserati might be late to the battle, but the new Levante is ready to challenge in SUV tests. 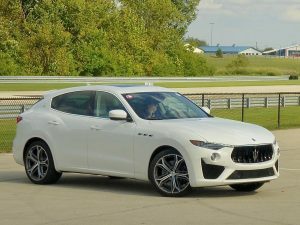 Some of the most impressive new vehicles include the Maserati Levante, a true Italian SUV with an in-house designed pair of engines, put together meticulously in Maranello by cousin Ferrari’s engineers. The 3.8-liter V6 model starts in the $70,000 range with a 424-horsepower twin-turbo 3.0-liter V6, or in the well-over-$100,000 class that includes a 550-horsepower/538 foot-pounds of torque twin-turbo V8 for power. If that was among the more impressive vehicles, there were a lot of familiar-looking vehicles with significant upgrades on hand. 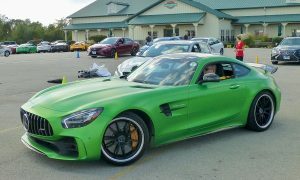 The Mercedes AMG-GT Coupe, for example, in a lime-green color called Green Hell, comes with a 577-horsepower twin-turbo V8 or a meager version of the 4.0-liter V8 with only 469 horses, giving the car a price range from $115,000 to $160,000. 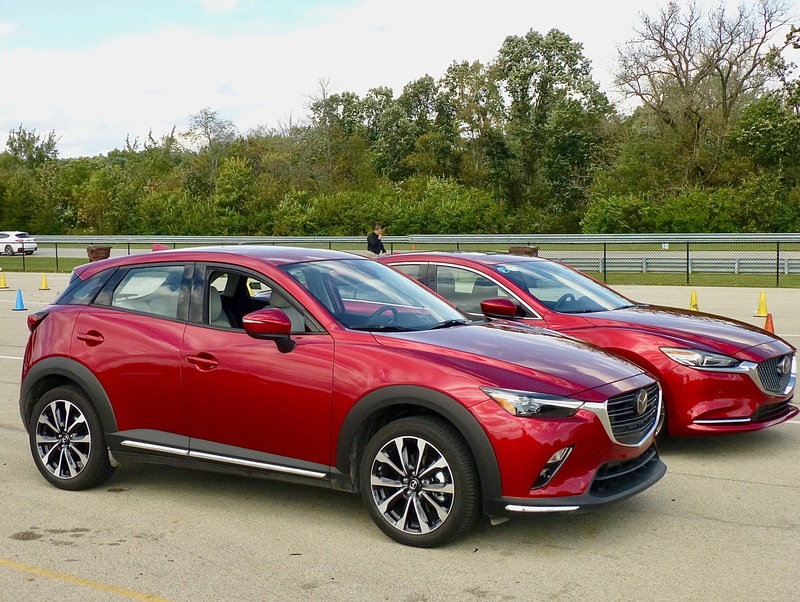 Mazda has spread its unique Soul Red Crystal Metallic throughout its models, including the CX-3 and Mazda6, for a mere $595. Back in the real world, a couple of my favorites earn accolades from New Car Picks, with the renewed pair from Mazda, the CX3 small SUV and the Mazda3 compact sedan. Both have some mechanical surprises coming, but they also were runaway winners of the best paint job award from us with their Soul Red Metallic color. That paint job came out exclusively on the CX5 when it was redesigned a year ago. Now it’s a stunning upgrade from the other very nice red choices in Mazda’s palette, as it has migrated through all the other models, Mazda6, MX5 Miata, and CX9. It has depth and distinctiveness that is worth a few hundred bucks as an option check-off. The Acura RDX is also all new, getting the exclusivity of a new Acura-only platform and a new alteration of its good looks. It also has only one engine, a 2.0-liter 4-cylinder with turbocharging to reach 272 horsepower and 280 foot-pounds of torque through front- or SH-AWD. It is quick, handles in a sporty fashion, and the A-Spec model has further sporty upticks. All of those are worthy, but the best feature might be that Jack and I stayed in the RDX when we returned to the parking area to experiment with the new and revised ELS audio system to hear sounds we had never heard before from familiar songs. We ranked it as the best audio available. When it first came out, I thought the Panasonic ELS system was the most sensitive and best audio I’d ever heard. Panasonic has made sure this one is better. It had stored a selection of demonstration musical pieces, ranging back through Creedence Clearwater Revival, The Eagles, The Grateful Dead, Joni Mitchell, and several more recent heavier-metal groups that Jack knew well and I couldn’t identify. We scrolled through parts of one song at a time, and in every single one there were notes and instruments we had never realized existed in those songs, translated with incredible clarity. 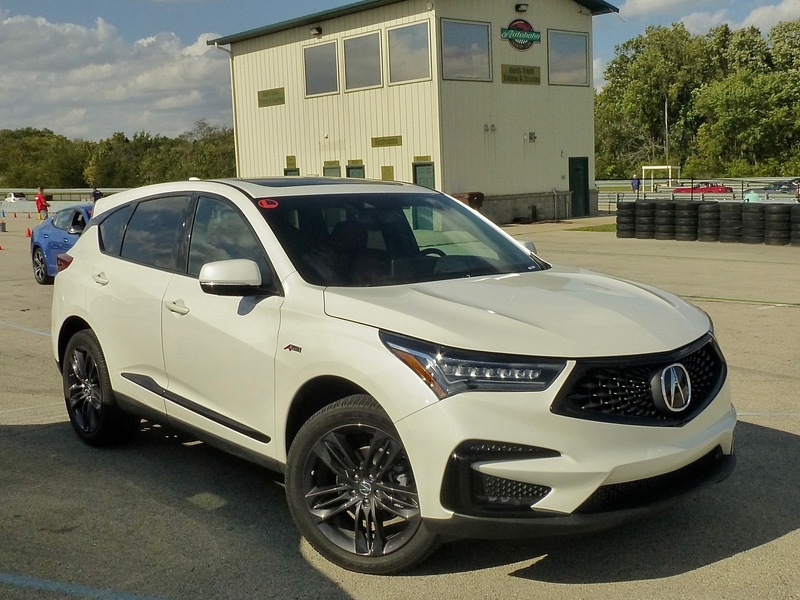 The loaded RDX ranges up to the mid-$40,000 level, and if the new 9.5 ELS surround audio is included, it’s a bargain. 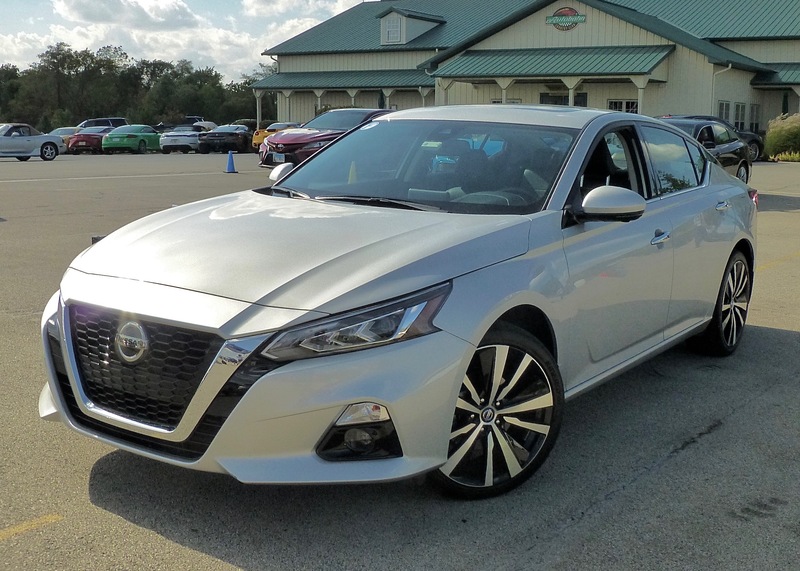 One of the other vehicles I found intriguing is the new 2019 Nissan Altima. Redesigned to retain the company’s familiar grill and overall look, the new Altima has two fantastic items available. One is all-wheel-drive, and I drove the basic 2.0-liter 4 with AWD, and the other is the revolutionary new variable-compression-ratio 2.0-liter turbo 4. With automatic adjusting from 8-1 to 13-1 compression ratio, that engine came out in the Infiniti Q50 and gave me a thoroughly good impression, and I can’t wait until Nissan can find a way to put such a high-tech engine in all its vehicle. There were more, including the new Ram pickup with what I figure is the best interior in the truck biz, and not only cylinder deactivation but a hybrid booster that gives an electric-motor assist when you need maximum power. Other new vehicles I’m still getting acquainted with are the Hyundai Kona compact SUV, the new Mustang Bullitt and GT, the Lexus LC Coupe with either 5.0 V8 with 471 horsepower or 3.5-liter V6 with electric boost to 354 horsepower, all in the sleekest exotic coupe shape imaginable. in the just-under-$100,000 category. That is the flagship, although there is a whole fleet of LS, GS, ES and IS models, with all sorts of hybrid configurations. And that brings us back to the Lexus RX350-L, which has been elongated to allow a third-row seat despite its compact normal size. The seats are exceptional for support and comfort, but we have to get back to grappling with the nav system. 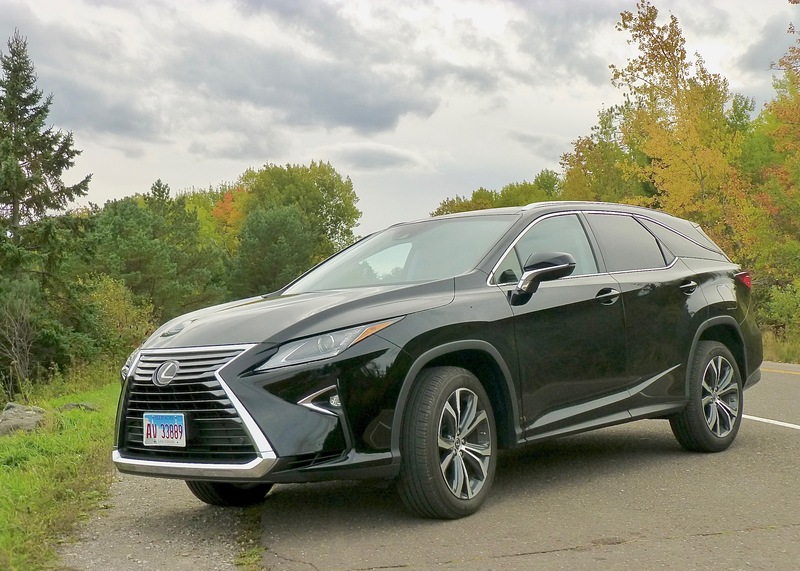 Comfort and classy features made the Lexus RX350-L a great long-distance ride, but beware of a stubborn nav system. When you drive to Chicago, you generally put up with the inevitable toll roads into town. You can pay up to $1.90 at every stop, and if you hit 10 of them, you’ve spent dinner. So we’ve found that you can drive south on I-94 from Madison and hook up with I-39, staying straight south from Rockport down to I-80, then take I-80 east and bypass Chicago on the south side and taking you right on into Indiana. We coded our Joliet destination into the nav system and selected the “non-toll” choice, which I thought was neat. It then gave us three alternative ways to get to Joliet — none of which was what we knew we wanted, and all three were toll-roads. I couldn’t remember which city would signal our turn eastward, but when I guessed it was Normal, the nav refused to give us our straight-ahead intention. So we ignored it, and drove south on 39 until we hit 80, then turned east. When we got to Joliet, it gave us a strangely convoluted way of going through town, so we consulted the trusty iPhone navigation, which gave us entirely different directions. Once we hit Joliet, we found that the entire city has its streets torn up, with a few bridges out. It took us an hour and 20 minutes to make it what should have been 20 minutes, because neither nav system could anticipate all the torn-up streets. The Lexus system, however, continued to direct us to the same location, where we were met with a bridge that was closed. Back to the iPhone, and we finally made it, guessing on how to negotiate roadblocks and construction that went right up to a block from our hotel. All it meant was that we were an hour late for dinner at the hotel steakhouse, although Jack and I are pretty good at finding a way to improvise. All the entrees had been put away at the MAMA hotel restaurant, but our starving look inspired the head waiter to allow that he had “only” two pieces of salmon to offer us. We took it, and it was quite possibly the largest and tastiest slab of salmon I ever ate. Plus we each got three or four side dishes, of lightly cooked carrots, an endless supply o asparagus, and a huge bowl of spinach — my favorite. By being late, apparently the chef took advantage of us by using up all the remaining veggies. Maybe we should have coded in “salmon” as the “point of interest” on the RX350-L nav system.